With the Wizards leading by just one point at halftime; Bradley Beal said in a halftime interview: “The first team to play defense is going to win tonight.” The Wizards responded by opening the second half on a 19-5 run and never looked back as they coasted to a 121-103 victory over New York on Wednesday night. The Knicks made a late run and were able to cut the Wizards lead to 10, 113-103 late in the fourth quarter but John Wall ended all hopes of a comeback with a monster left-handed slam in the closing minutes. Bradley Beal led the Wizards in scoring with 27 points on 11-of-14 shooting and John Wall chipped in with 25 points as the Wizards notched their seventh straight win against the Knicks. Bradley Beal was just named Eastern Conference Player of the Week and he did nothing tonight to discredit that accolade. As mentioned, Bradley Beal scored 27 points on 11-14 shooting (79 percent) to go along with six assists as he continued his All-Star campaign. He was torching the nets to start the game connecting on 7-of-8 shots in the first half for 18 points. The sharpshooter playmaker, Beal, was not only scoring at will but also was able to get others involved. He and Gortat had the pick-and-roll as well as the two-man game going in the first half which resulted in some easy baskets for Gortat. Gortat has struggled the past few weeks. He’s spoken openly about how he’s upset that his role is diminishing, as he’s not playing down the stretch of games. But tonight, Gortat snapped out of his funk to the tune of 21 points (season-high) on 9-of-10 shooting to go along with 8 rebounds. He connected on his first six shots of the game and for one night, looked like a younger, more spry player. The Wizards defense was terrible right from the opening tip. 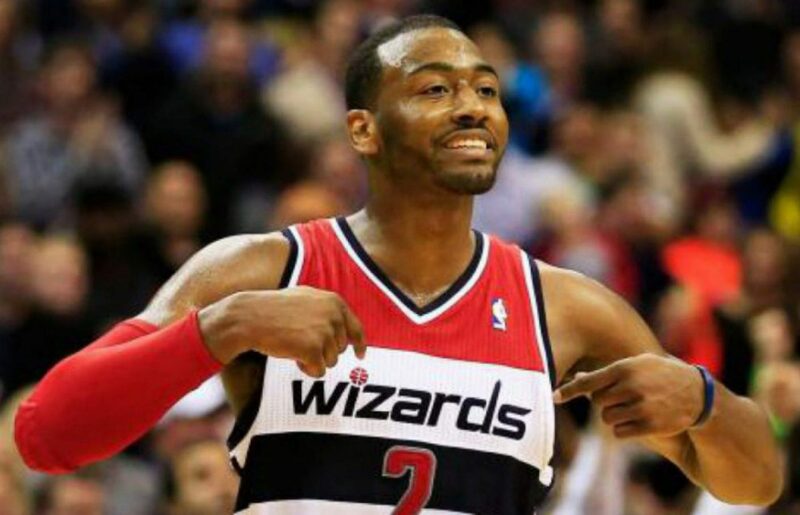 The lack of intensity could be pointed back to the head of the snake, John Wall who wasn’t engaged in the first half, other than to hunt down a chase down block. The Knicks were scoring at will against the Wizards early on as Enes Kanter and Kristaps Porzingis were bullying their way in the paint while Courtney Lee was knocking down open three-pointers. Too many times, New York got wide open driving lanes or easy layups on backdoor cuts. They shot 58 percent from the field in the first half. Fortunately for the Wizards, they were able to flip the script in the second half as their defense was much better and the main reason why Washington was able to pull away for a decisive win. Next up: The Wizards head to Memphis to take on the Grizzlies on ESPN this Friday at 9:30 p.m.